1) I don't like buying fake chargers. 2) Apple products are expensive. 3) I had no idea where to go to find one. Although I wasn't lucky enough to have known that there was a Futureworld nearby at my most trying of times, I am very glad to know that they exist now... just in case I am faced with another Apple boo-boo in the future. 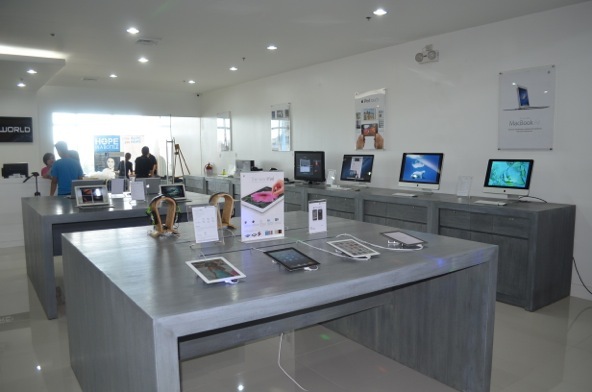 If you haven't heard of Futureworld yet, they are an authorized Apple reseller and the newest player in the technology retail industry in the country. So far, they have opened two branches in Metro Manila and I cannot wait for them to open more. Let's face it: the economic growth in Asia is rising, so more and more people are now looking for consumer technology products, particularly from Apple. This makes Futureworld the perfect addition to the entire region. Futureworld carries the complete line-up of Apple software and hardware, and they exclusively distribute Apple accessories, including Onanoff earphone organizers, Incipio cases, Withings iOs compatible weighing scale and blood pressure monitors, iBike cycling power meters, and Cocoon organization accessories. Their staff has attended various Apple-conducted trainings, as well. Steve Jobs would have been so proud. 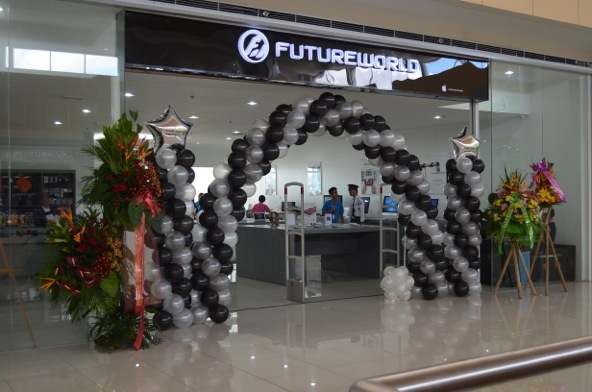 The Futureworld branch featured in the photos above are from SM City Masinag (2F, Cyberzone), but they also have a branch in SM Bicutan (2F, Building B). For more information, visit their official website. Don't forget to like Futureworld Philippines on Facebook, either! oooh now if only they could open a branch here in Davao.